I've been writing every day for the last two weeks -- which makes me happy, although it's doing weird things to my motivation. (And really, it's not like I spend all that much of my day writing.) During the week, I haven't left the house much, haven't cleaned much, haven't accomplished much of anything concrete. My brain is in some new mode, for sure, with a lot whirring around in my subconscious. 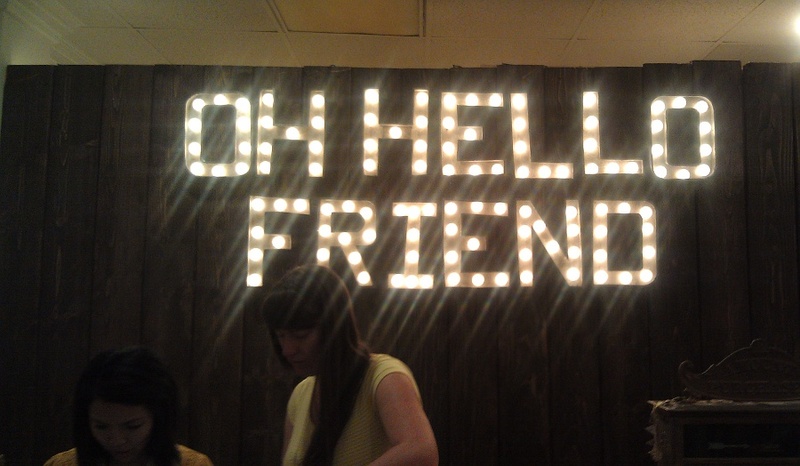 The event was really lovely, held in a sweet little boutique called Oh, Hello Friend, which is a good addition to the Fullerton scene (some of the older shops still have that OC-rocker/Social Distortion/rockabilly vibe going on, which makes me feel old, or like I need to be attending The Hootenanny. 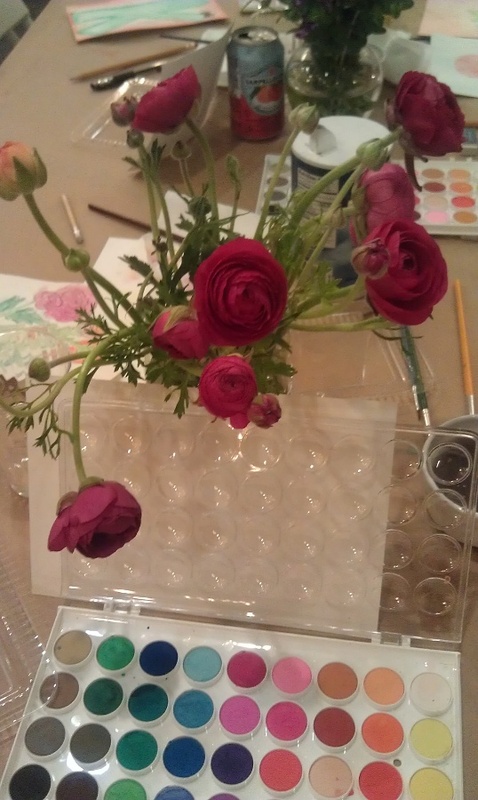 This time, I was less stressed about the actual crafting part of the evening -- instead of bringing my own craft, we were tutored by Famous Blogger Brenda Ponnay about watercolor paint techniques and then encouraged to try our hands, using the varied floral table arrangements for inspiration. Ta-dah. 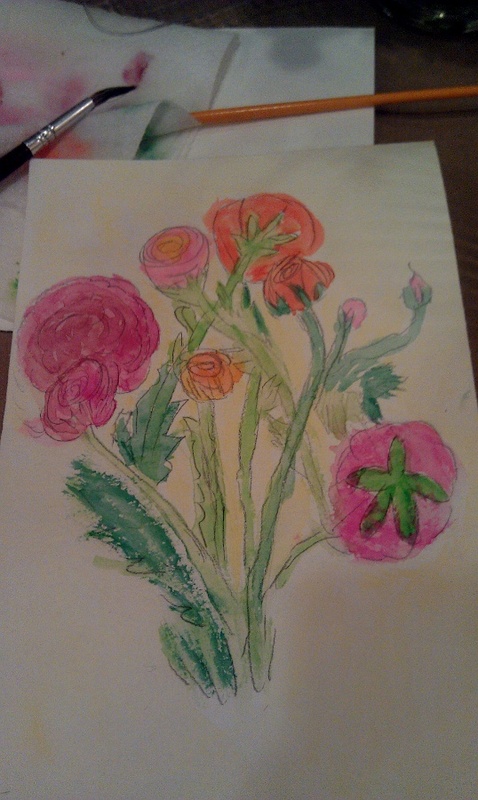 Clearly I'm no visual artist, but the children were duly impressed. "You should totally frame that, Mom!" I still stressed about the "meeting and talking to people" element, but I did okay, and my feelings overall are still very close to what I wrote in my re-cap to the first event, back in August. (To whit: I'm a weirdo wallflower.) Oh, but wait: maybe I've progressed, because I actually told Jules that I was going to ask her out to lunch. And then we traded texts.Well, I did have 2 beers at dinner. Time will tell if I can get over myself enough to make good on that threat promise. 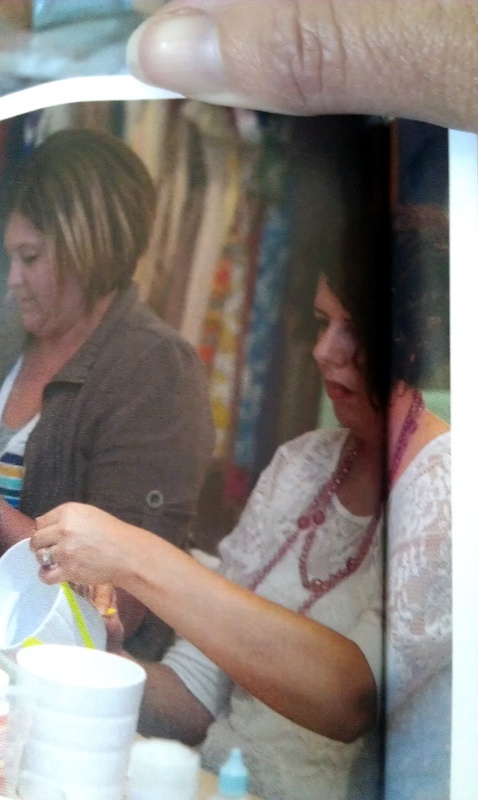 There I am, taking my Washi-taping very seriously. So that was pretty cool. And it's good to get out of the house and meet new people. (I'll just keep telling myself that.) See you next week. I am VERY jealous. I want to come meet you and Lisa and Jules. And play with paints and washi tape. Looks like a great time. That would be fun, Rita! If ever you're in SoCal, we'll have to arrange something.